Native to Europe and Asia. 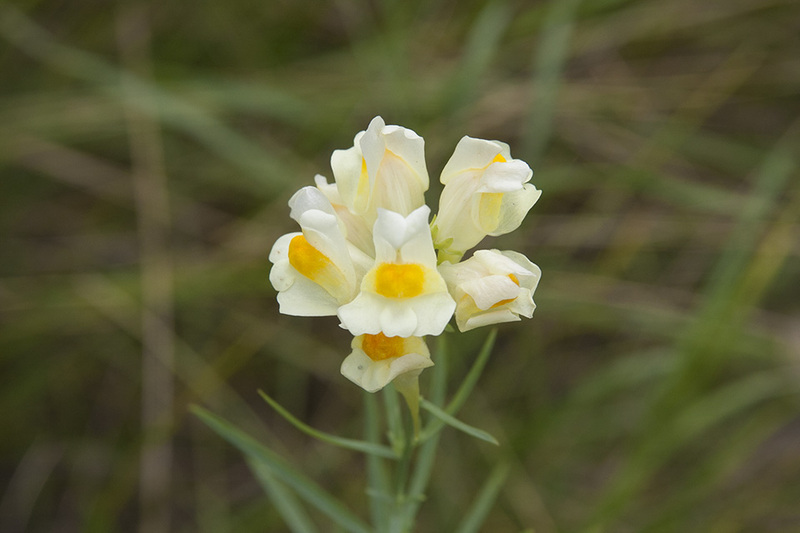 Introduced as an ornamental, escaped and naturalized. Dry. Fields, roadsides, waste places. Full sun. This is an easily recognized, 12″ to 36″ tall, erect, perennial forb that rises on 1 to 25 stems from a taproot up to 40″ long and and shallow, creeping rhizomes up to 12′ or more long. It aggressively forms colonies. 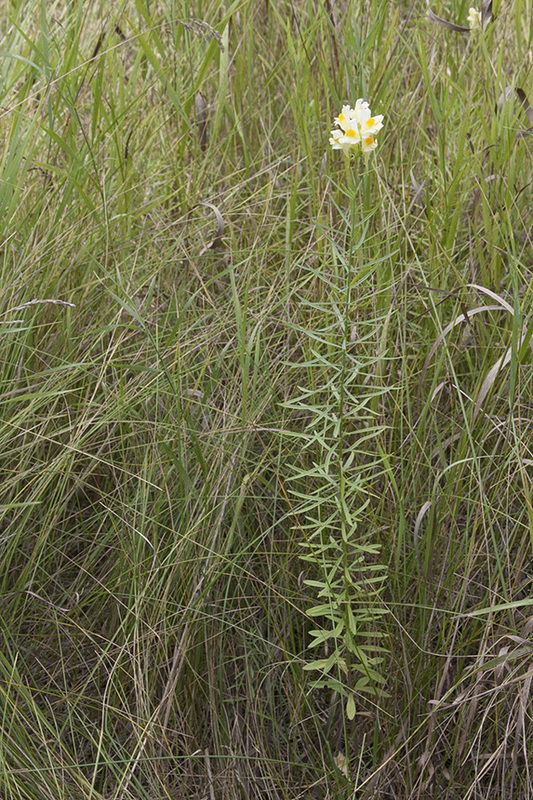 The stems are erect, often branched near the top, leafy, and hairless below the inflorescence. 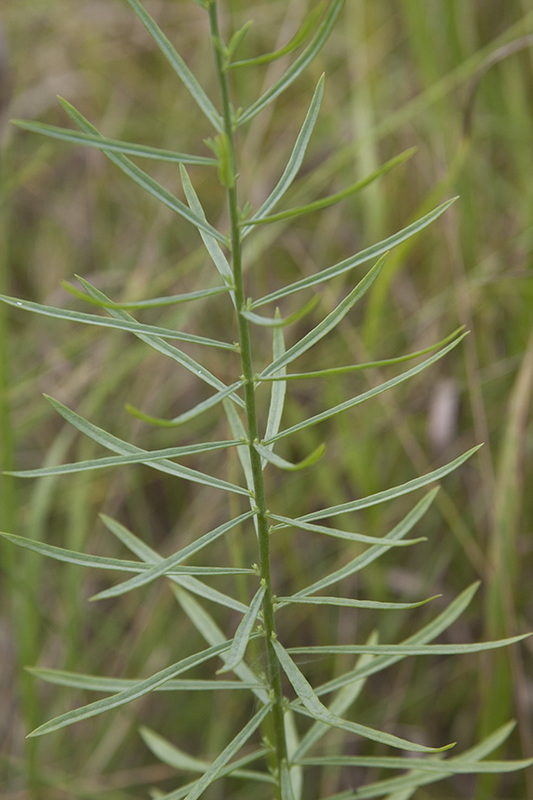 The leaves are numerous, crowded, and alternate, but closely spaced so that they may appear opposite or even whorled. They are linear, ¾″ to 2″ long, and 1 ⁄16″ to ¼″ wide. They are stalkless but are narrowed below to a stalk-like base. A single prominent vein runs from the base to the tip of the blade. The upper and lower surfaces are pale green and hairless. The margins are untoothed. The inflorescence is an unbranched, elongated, dense, spike-like cluster (raceme) at the end of the stem. 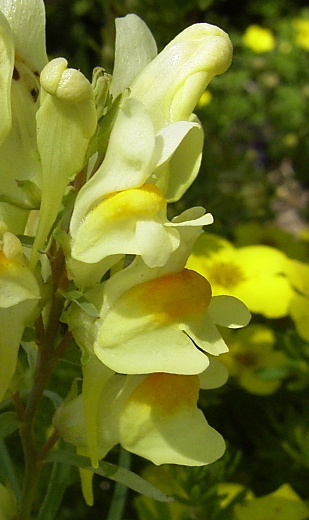 The flowers are crowded, snapdragon-like, and ¾″ to 1½″ long including the spur. 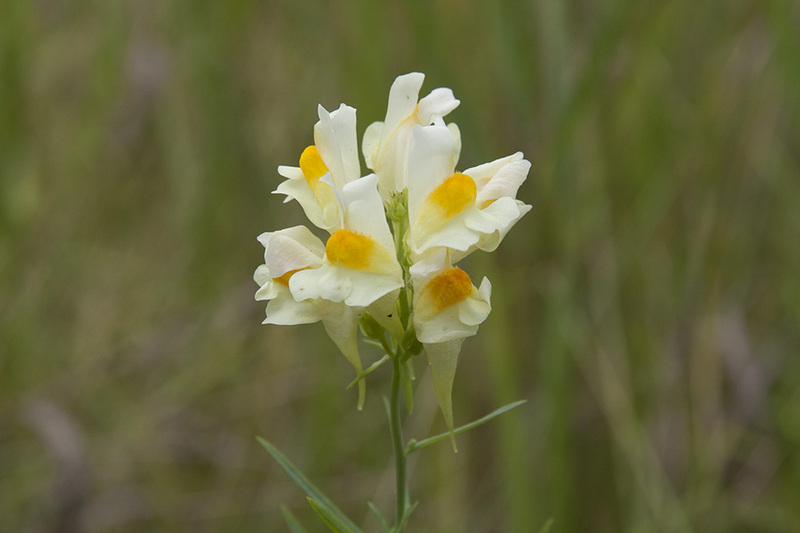 There are 5 white to yellow petals fused into a corolla tube with an upper and a lower lip. The upper lip bends sharply upward and is then divided into 2 spreading lobes. The lower lip is divided into 2 lobes that bend downward and a rounded palate that obstructs the opening of the corolla tube. 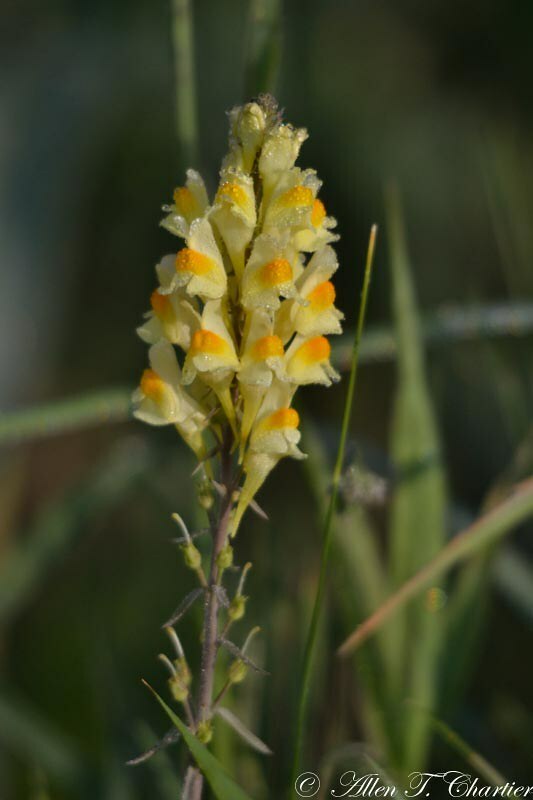 There is a long nectar spur at the base of the corolla that hangs downward. 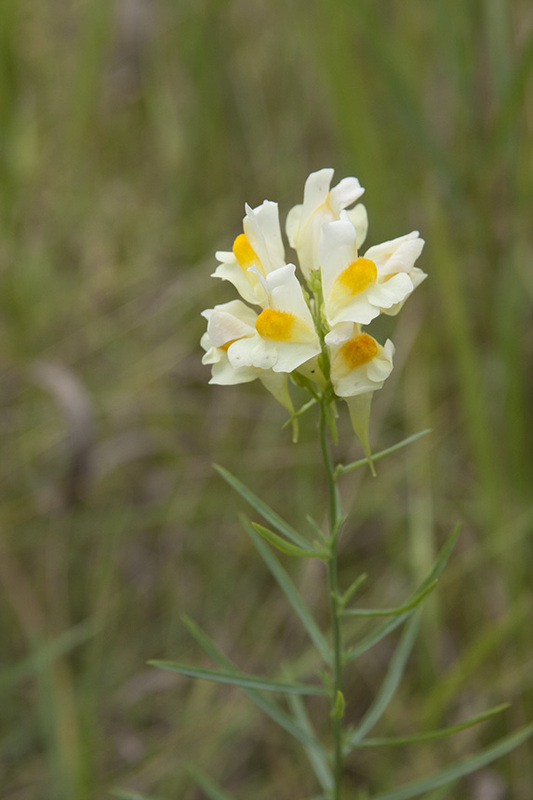 The upper and lower lips are white to yellow, the palate is yellow at the base to orange at the tip. The upper lip is longer than the lower lip. There are 4 stamens. The fruit is a round to oval, 5 ⁄16″ to ½″ long capsule with numerous winged seeds. 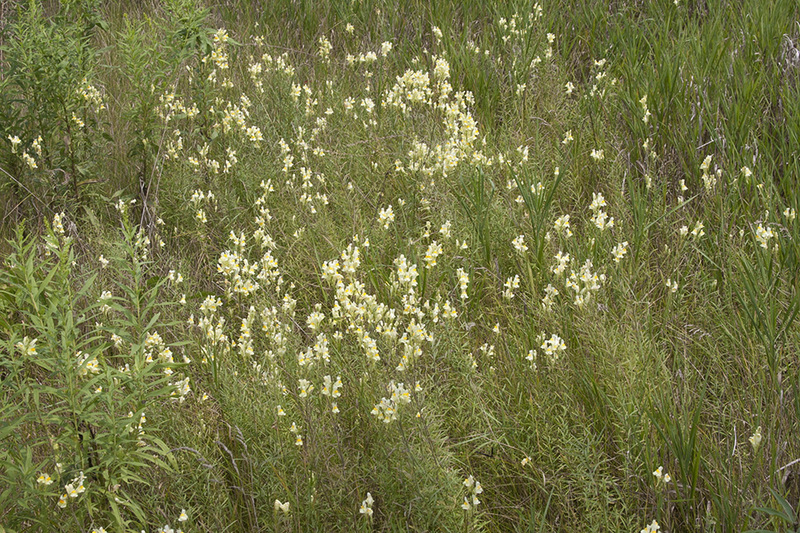 Het Vlasbekje (Linaria vulgaris), vroeger "vlasleeuwenbek" genaamd, is een algemeen voorkomende, overblijvende plant uit de weegbreefamilie (Plantaginaceae).